Event driven microservices architecture models provide the lightweight, isolated services to deploy business models in enterprise applications. These microservices are also used to connect to NoSQL databases in the backend to separate the data management for different domain elements without having to deploy them in a monolith application. In this presentation, I will discuss how you can leverage the event driven microservices model to store and process the data in NoSQL databases in real time. We will look at different design patterns that we can use in this architecture. I will also discuss the streaming data analytics on the data stored in NoSQL, using technologies like Spring Cloud, Spring Boot, and Docker. Srini Penchikala currently works as Senior IT Architect in Austin, Texas. He is also the Lead Editor for Big Data and NoSQL Database communities at InfoQ (http://www.infoq.com/author/Srini-Penchikala). 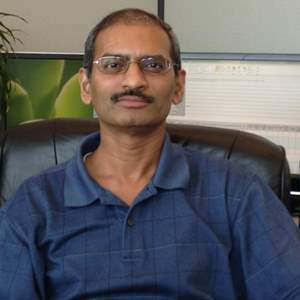 Srini has over 19 years of experience in software architecture, design and development. He is currently authoring a book on Big Data Processing with Apache Spark. He is also the co-author of the book "Spring Roo in Action" (http://www.manning.com/SpringRooinAction) from Manning Publications. Srini has presented at conferences like Big Data Conference, Enterprise Data World, JavaOne, SEI Architecture Technology Conference (SATURN), IT Architect Conference (ITARC), No Fluff Just Stuff, NoSQL Now! and Project World Conference. He also published several articles on software architecture, security and risk management, and NoSQL databases on websites like InfoQ, The ServerSide, OReilly Network (ONJava), DevX Java, java.net and JavaWorld.